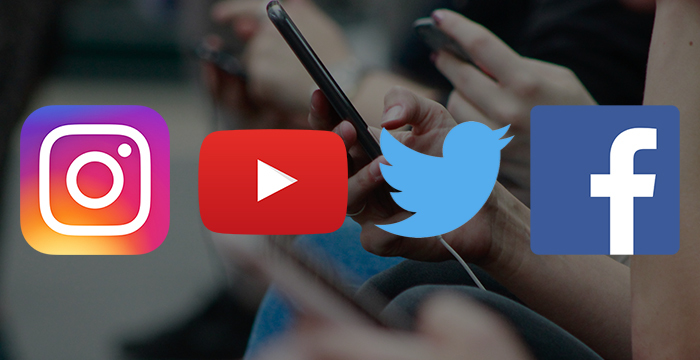 This past year has seen social media explode with YouTubers vlogging the law, legal chats shows broadcasted live on Facebook and the legally minded making use of Instagram’s highly popular stories feature. Here, in alphabetical order, we list the top ten best uses of social media this year, with the winner to be announced at the Legal Cheek Awards on 21 March. London School of Economics (LSE) law student Angelica Olawepo is the latest legal vlogger to watch. The first year’s growing channel, Angeliculture, has over 1,300 subscribers and has received more than 72,000 views. It features videos about careers and study advice, as well as vlogs documenting her university experience. What’s striking about this Youtuber is her story. Olawepo, who’s describes herself as a “working-class student”, comes from a single parent-home located in an extremely deprived area of London with a very low progression to university. But, having scored A*, A*, A at A-Level and completed the Lady Margaret Foundation Year at Oxford Uni prior to joining LSE, Olawepo now uses her platform to share this journey with the hope of inspiring others. Since qualifying several years ago, Irwin Mitchell solicitor Chrissie Wolfe has taken to vlogging to share her training contract tips. Her YouTube channel, Law and Broader, sees the personal injury solicitor cover everything from networking to assessment centres — all against a chic rose gold backdrop. The law and lifestyle channel, which began as a weekend hobby, now has over 1,600 subscribers and a total of over 50,000 views. In her most popular video, Wolfe sets out time-managing tactics through a grid system, helping viewers identify transferrable skills and experiences. The ‘broader’ side of her channel sees Wolfe venture away from careers advice to share her favourite Christmas gifts and even daily vlogs. 5 Essex Court’s Instagram is an example of how to ‘Gram the busy lives of barristers through consistently witty captioned snaps. The London chambers has also used the platform to hype their new podcast, The Pupillage Podcast. 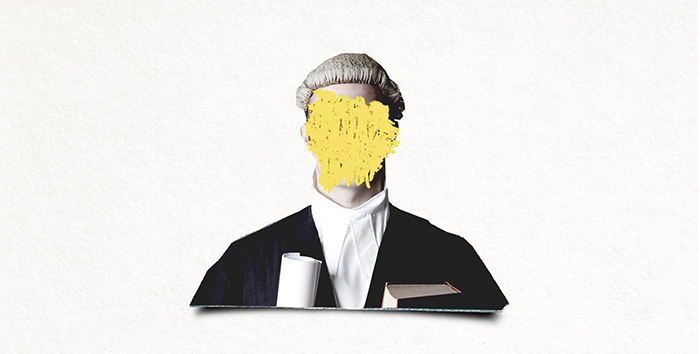 The series of ten episodes hosted by junior barristers Georgina Wolfe and Beatrice Collier, aims to share with listeners insider info about the pupillage process. It’s an excellent listen. 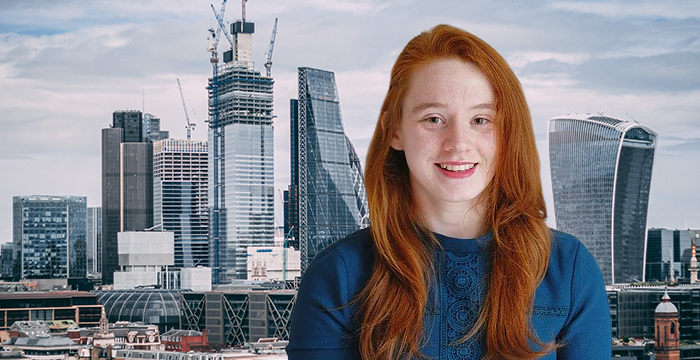 Last September Linklaters teamed up with vlogging superstar (and future Linklaters trainee) Eve Cornwell for the first ever magic circle firm-YouTuber collab video. In it the University of Bristol law grad takes her audience of more than 110,000 subscribers around the elite firm’s London HQ before sitting down with Linklaters partner Finn Griggs for a quick Q&A. The video, which boasts over 107,000 views, is a treat to watch. The conversation between Griggs and Cornwell is informative, but relaxed over a coffee. Cornwell’s enthusiasm is also contagious, with even non-legally minded viewers left feeling curious about legal practice. Cornwell’s other videos are also well worth a watch. Many of these tweets went viral — hopefully encouraging the next generation of barristers. Future trainee solicitor Rosie Watterson’s blog Apply.Shine.Win helps students do exactly that. Having received a training contract offer from Herbert Smith Freehills, Watterson is now keen to share her recipe to success. The blogger uses personal anecdotes and interviews to reveal practical and encouraging application advice. In a recent post, the blogger sits down with ex-magic circle recruiter, Hannah Salton, who gives key advice on leveraging work experience on applications forms. Last year also saw law student Morven Ross blog her two week all-expenses paid trip to the Herbert Smith Freehill’s Australia office, after winning the firm’s ‘Connect With Us’ competition. Samantha and Hannah share their advice and top tips for a career in law. Hannah shares her experience of joining Shoosmiths as a trainee solicitor after changing careers. Shoosmiths Live is a Q&A, streamed on the firm’s Facebook page. Hosted by the firm’s graduate recruitment manager Samantha Hope, episodes feature informal-chats with legally minded guests, including the aforementioned vlogger Chrissie Wolfe and blogger Rosie Watterson. Here viewers can pick up training contract tips while also learning more about the firm. Interesting is the one-take format of episodes, which are broadcasted live on their Facebook page for all to see. For Hope, who doesn’t rely on quick cuts and scene changes seen in Cornwell’s videos (see above), she appears at ease leading a relaxed conversation with guests. Viewers are also encouraged to leave questions in the comments to be answered live. Although engagement is moderate, it’s a promising start. The open dialogue also presents an innovative alternative for potential Shoosmiths candidates unable to meet the graduate recruitment team in person. Following the overwhelming success of their debut book, The Secret Barrister: Stories of the Law and How It’s Broken, he (or she) continues to capture the imaginations of readers through blogging and social media. 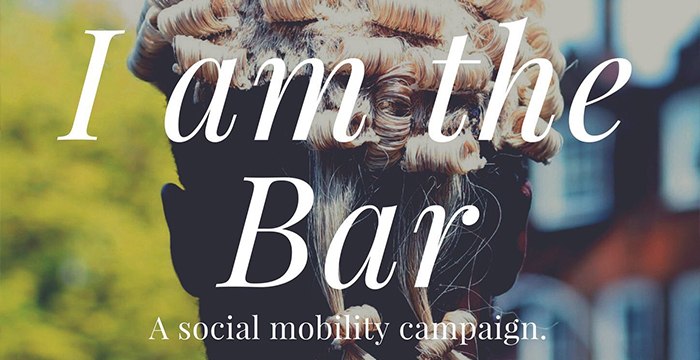 Their identity still shrouded in mystery, the bar social media heavyweight brings to light serious flaws plaguing the criminal justice system. Disappointingly, the Supreme Court has upheld the disgusting reforms, introduced by Theresa May, that prevent the wrongfully convicted receiving compensation for years spent in prison. Protected by their anonymity, SB enjoys the freedom to openly comment and criticise — making for entertaining, but brutally honesty tweets. They’ve also moved into more general political commentary, and their tweets score big numbers of likes and retweets among the Twitterati. 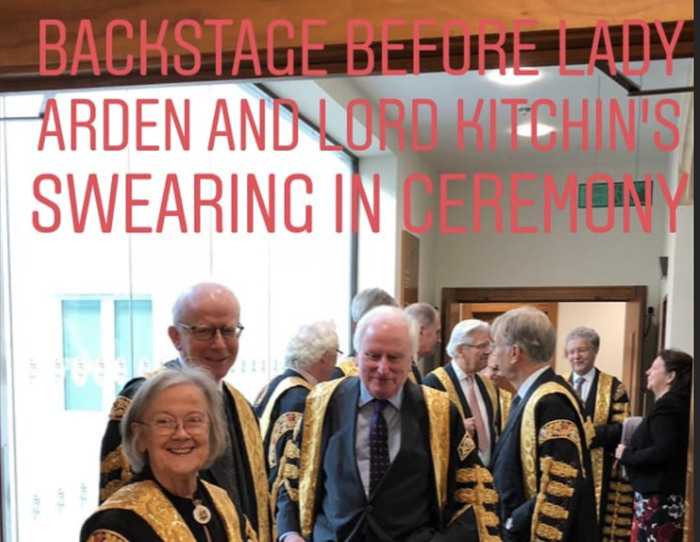 Last year the Supreme Court granted Instagram a rare behind the scenes look at the swearing-in ceremony of two new justices: Lady Arden and Lord Kitchin. Using Instagram’s story feature, the UK’s highest court shared snaps and clips of robed justices taking the judicial oath. Now saved under their Instagram highlights, users can go and re-watch the step-by-step rundown (and Lady’s Hale’s cheesy grin) over and over again. After joining the platform in 2017, in hopes to achieve greater openness and transparency, the social media savvy Supreme Court has built a strong insta-following — with over 4,000 followers. Shearman & Sterling’s video series, ‘Whiteboard Wednesday’ provides exactly what aspiring lawyers are looking for: straight-to-the-point application advice. Hosted by the US firm’s graduate recruitment team, the series of presentations helps viewers break down legal jargon and complex commercial concepts into a simple, digestible form. In one of the latest videos, graduate recruitment manager Paul Gascoyne guides viewers through common legal buzzwords so they can better understand the firm they are considering applying to. The winner of the best use of social media will be decided by an independent judging panel, and announced at the Legal Cheek Awards 2019 on March 21 at the Cheesegrater in London. Shocked that Greenberg Glusker LLP’s guerrilla Legal Cheek comments marketing exercise / insurgency hasn’t made the cut. We should be at the top, top of that list. Legal Cheek doesn’t report on top, top US firms. Separately, does anyone know what Arthur, Chapman, Kettering, Smetak & Pikala, P.A. are paying on NQ these days? Top firm. I’m far more interested in knowing the NQ rates at Lowndes Drosdick Doster Kantor & Reed, P.A. Anybody know? They’re meant to be absolute top. Please tell me you’re joking. Azaelia Banks is an absolute cretin. Anyone claiming to be a TC whisperer is mistaken, there’s no secret formula and there’s nothing they can tell you that you shouldn’t be able to work out on your own if you are serious about a pursuing career in law. It’s not rocket science; it is about being accurate, proactive and knowledgeable and it’s about acing your applications, interviews and assessments through demonstrating these aspects. Unsurprisingly, talking about this kind of high-level stuff doesn’t make for exciting videos or blog posts because it can apply to anyone applying for anything anywhere. So they big it up and title it something like “10 THINGS I DID TO GUARANTEE TC SUCCESS” and then go on to speak generically, throwing out buzzwords and meme-dropping whilst ignoring the importance and the reality of their individuals circumstances. This makes for interesting content, but does not equal good advice. Rosie pushed on despite her disability, Angelica pushed on despite coming from a disadvantaged background, Eve is rare in that she just ticks all the boxes (e.g. bilingual, pro-bono, networking, outside interests – very few can compete with someone like that). Please don’t think that by paying attention to their tips you are getting any much closer to a TC than if you read the generic resources that have been online for decades! Where do you think these guru’s found all their super-secret tips and advice they dish out!? They are self-promoters, and that’s fine by the way, but they are not well-positioned to advise you in your specific circumstances about how to get a TC.